25) Korach 29 - Why Shouldn't You Park In a Handicap Space? 26) Chukas 29 - I Keep 72 Minutes, Your Keep 45 - Can I Drive Home With You After 45 Minutes? 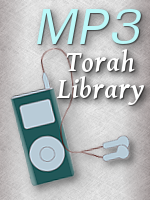 28) Pinchas 29 - Learning on Tisha B'av, Should You? Can You? Eating Tisha B'av Night So You Can Fast on Tisha B'av Day? 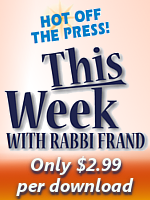 29) Shoftim 29 - Brachos on the Tefilin - One or Two Brachos? 30) Ki Seitzei 29 - Shiluach Hakain - On Shabbos? From Your Back Porch? 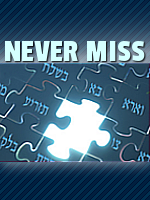 31) Ki Savo 29 - Mezzuzah - Case of No Case; Kissing the Mezzuzah Good Idea or Not? 35) Sh'mos 29 - Cap and Gown at Graduation: Is There an Halachic Problem? 40) Yisro 29 - Kiddush Shabbos Day - Must Everyone Drink the Wine? 42) T'rumah 29 - I Want To Take Back The Keser Torah(Sefer Torah Crown) That I Donated: Should the Shul Agree? 44) Vayakheil/Pikudei 29 - " It's A Siman Min Hashamayim" It There Such a Thing?